Published on May 29, 2010 in Elections, General T&T, People's Partnership, Politics and Security. 2 Comments Tags: Kamla Persad-Bissessar, Patrick Manning, Politics, Security, UDeCOTT. 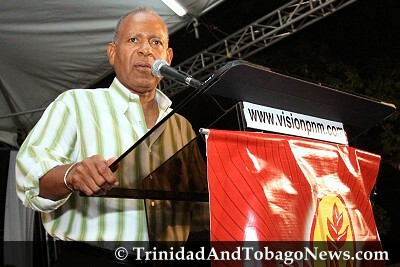 PRIME MINISTER Kamla Persad-Bissessar yesterday instructed her new Minister of National Security, Brigaidier General John Sandy to provide state security to former Prime Minister Patrick Manning. Published on November 1, 2009 in Complaints, COP, General T&T, Law and Security. 4 Comments Tags: Raffique Shah, Security. Last Sunday’s arms heist at the inappropriately-named “MI5” security company’s premises was a disaster waiting to happen. The saving grace, if there was any, is that the bandits did not kill the lone female security guard and proceed on a gun-rampage through town. There are some very serious lessons to be learnt from this incident. But given our attitude towards matters that have implications for personal and national security, I don’t hold much hope that we’ll see the requisite changes.